Machine learning is the most significant technological advancement in the modern history. Many fields promise to “disrupt” life as we know it quite likes machine learning, but many of the applications of machine learning technology go unseen. Many companies from startups to massive corporations embrace it. 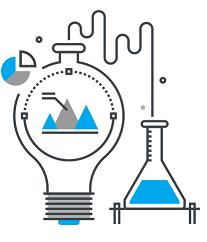 Each invention accomplished through machine learning encourages companies to take advantage of tools that support and improve data use. Machine Learning is an exclusive application of Artificial Intelligence. This provides the system with the capability to learn automatically and enhance it from the experience without the need for explicit programming. The main focus of it is developing the computer program/code that can access data and use it to learn by their own. 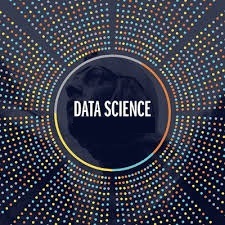 This process involves Data Science which includes keen observation and segregation of Data patterns, cleansing the data and making better decisions for the future use. The main motto of this Machine Learning is making the computer learn automatically without human interference or support and adjust actions accordingly. Why is this Machine Learning? In the modern data-rich world, everything seems to be self-assisted machines are to be designed or aided to in filtering useful pieces of information that help in better improvements, and it’s already known how this technology is being achieved also in extended industries. Some of the examples where the world is already encompassing this Machine Learning are self-driving Google car, cyber fraud discovery, online recommendation engines like friend suggestions on Facebook, recommendations or suggestions of the movies or videos on YouTube, an app displaying the shows you might like and shopping apps displaying “more items to view”. All these examples play an essential role and since the machine learning has been begun to take in today’s data-rich world. Many businesses use this machine learning for better decision making and driving better results. It might be a B2B or B2C organization, machine learning helps in the spectrum of Data Science. For deep learning, genetic algorithms, decision tree patterns and data mining. What are the skills required to fetch a job in Machine Learning? The world is indeed evolving in rapid and dramatic ways, and the demand gap for Machine Learning engineers will be increasing exponentially. The world’s challenges are complicated, and they will require much more complex systems to solve them. Machine Learning engineers would be able to build these systems in an extensive way. If you are a fresher, or a tech-savvy person or a student who is perusing Digital Nest offers impeccable courses on Data Science and Machine Learning. We train on all the concepts right from R programming, Python for Data Science, Data Statistics, and Data Visualization. Its value-based learning type and training by experts in the industry, hands-on project experience, and a course completion certificate will give you need to become an expert in the chosen and grab a top-notch job.